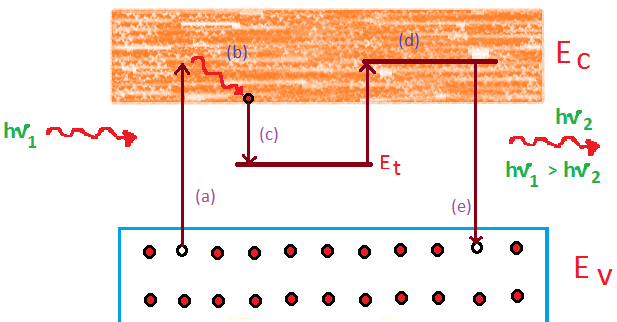 If a Light falls on a semiconductor material, the charge carriers (Electron Holes Pair are generated).They are produced either by band to band transitions(intrinsic) or by transmission involving forbidden energy levels(extrinsic )as shown in figure . 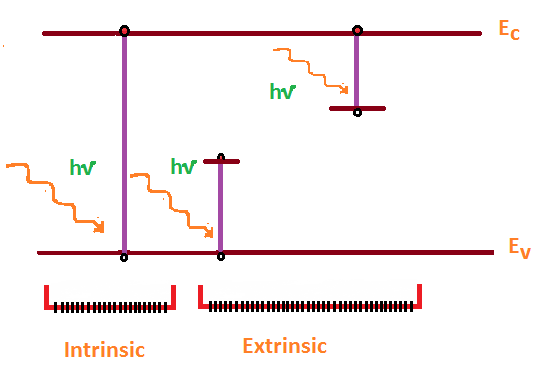 In direct or fast emission, the emission of photons stop within approximately 10-8 s after the excitation is turned off. Such a fast process is referred as fluorescence. As we know 10-8 s is the lofe time of an atom in excited state it means after this time excited atom returns to ground state. 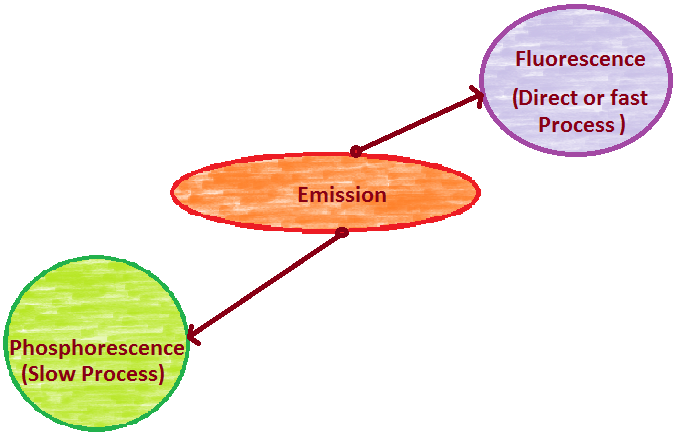 if the emission occurs even after the excitation has ceased, the process is known as Phosphorescence.